Anthony Hemingway is taking on The Purge. Today, USA Network announced the Unsolved director will helm the pilot for the new USA/Syfy TV show. Based on the film franchise, The Purge takes place in a society where murder and mayhem are legally allowed one day a year. The cast includes Gabriel Chavarria, Jessica Garza, Amanda Warren, and Colin Woodell. 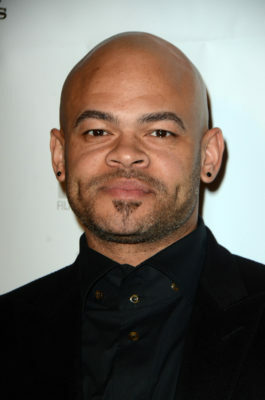 UNIVERSAL CITY, CA – April 3, 2018 – Universal Cable Productions (UCP) and Blumhouse Television today announced that Emmy(R) and Golden Globe(R) award-winner Anthony Hemingway (UNSOLVED: THE MURDERS OF TUPAC AND THE NOTORIOUS B.I.G.) is set to direct the premiere episode of USA/SYFY’s upcoming series THE PURGE based on the hit film franchise. From Blumhouse Television and Universal Cable Productions, THE PURGE, which will air on USA and SYFY, and the series was created, and will be executive produced by the film franchise creator James DeMonaco, and led by Jason Blum, the entire team behind the blockbusters are on board to executive produce: Michael Bay with Brad Fuller and Andrew Form under the Platinum Dunes banner and Sebastien K. Lemercier. Thomas Kelly serves as executive producer/showrunner of the series. Hemingway is one of television’s most prominent African-American directors. He directed and co-executive produced “The People v. O.J. Simpson: American Crime Story,” which earned him an Emmy and Golden Globe award along with numerous other accolades. Hemingway also served as director and executive producer on “Underground,” and has previously directed episodes of Universal Cable Productions’ “Battlestar Galactica,” in addition to “American Horror Story,” “Orange Is The New Black,” “Empire,” and “Shameless.” Most recently, he executive produced and directed Universal Cable Productions’ limited true crime series UNSOLVED: THE MURDERS OF TUPAC AND THE NOTORIOUS B.I.G. currently airing on USA. The series chronicles the dual police investigations into the controversial murders of two of the rap industry’s most legendary players, Tupac Shakur and Christopher Wallace (The Notorious B.I.G.). The series stars Wavyy Jonez as Christopher Wallace (aka The Notorious B.I.G. ), Marcc Rose as Tupac Shakur, Josh Duhamel as Detective Greg Kading, Jimmi Simpson as Detective Russell Poole and Bokeem Woodbine as Officer Daryn Dupree. In addition to Hemingway’s involvement in the series, Universal Cable Productions recently announced the castings of two of the ensemble leads in THE PURGE. Gabriel Chavarria (“East Los High”) is set for the role of Miguel, who is a US Marine with a hard edge and a noble mission. After receiving a cryptic letter from his little sister, he returns to town on Purge Night – prepared to face the senseless violence in the streets alone in order to protect what he loves most – his family. Jessica Garza (“Six”) will play the role of Penelope, who belongs to a Purge-worshipping cult. Having pledged herself to be sacrificed at the behest of their charismatic leader, Penelope’s faith is tested when she is exposed to the ghastly realities of the Purge. Amanda Warren (“Three Billboards Outside Ebbing, Missouri”) is set for the role of Jane, a dedicated and hardworking finance professional, Jane’s convinced that she’s hit an insurmountable glass ceiling at her firm, so she hires a Purge-assassin. Colin Woodell will play the role of Rick who is finally climbing the social ladder, but currying favor with the pro-Purge elite presents unexpected challenges to his marriage, as he and his wife (Jenna) must agree on what moral price they’ll pay to achieve the American dream. What do you think? Are you a fan of The Purge movies? Will you watch the TV show? More about: The Purge, The Purge: canceled or renewed?, USA Network TV shows: canceled or renewed? Pretty psyched about this, have wanted this to become a series for awhile now. That being said I would go a different way with it, instead of having it be based around the night of the Purge itself I would go with a few different characters stories through the 364 days leading up to the Purge, then have the last 5-10 minutes be there Purge night, with the finale going into a Full Purge event and explaining people’s full mind set of why there Purging in the first place.